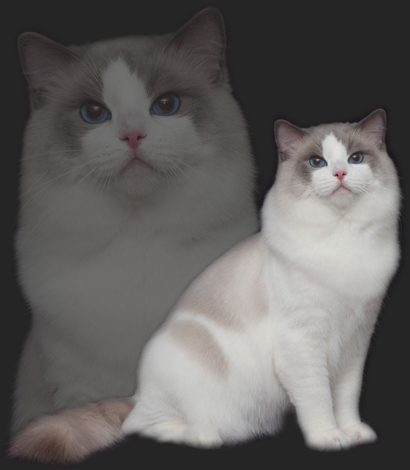 Jacob is the third male, after Adam (retired) and Isaac (retired), we got from the very famous and experienced Ragdoll breeder, Mary Riddell of Furreal Cattery in the USA. I sincerely thank Mary for her continuously trust on me. 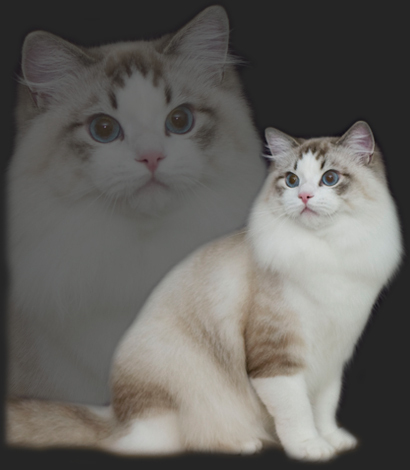 Second Best of the Best Ragdoll Kitten in the Congress and many Allbreed finals in the TICA show. 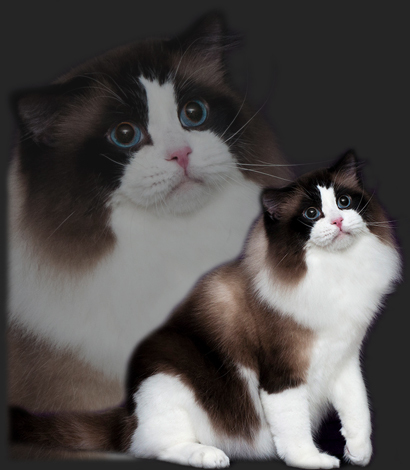 In addition, he was also the Highest Scoring Kitten in his first show in Hong Kong. 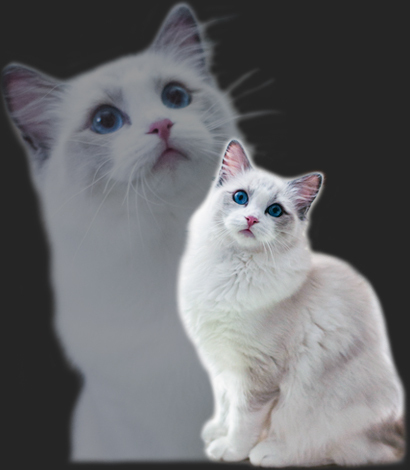 Jacob is the first Ragdoll Cat getting a NW title in International Division which included Hong Kong! I am so blessed to have him in my breeding program! entrusting me and let Hishou join my breeding program. Also thank you, the owner of Hishou's sire, Sanghun Kwak and Tomoko Iwata who took good care of Hishou in Japan! showmanship, Hishou also has muscular body, great boning, perfect silky coat, incredible blue eyes and his dam's, Reina's, sweet face. Hishou is the treasure of both Dolcemadre and Dolly-Chiny! Dolly-Chiny Unbelievable! aka Billy is the first own breed boy we keep for breeding. We chose him because of his strong boning, muscular rectangular body, and very nice in everyway. We especially like his personality and wonderful blue eyes got from his mom, Monah. 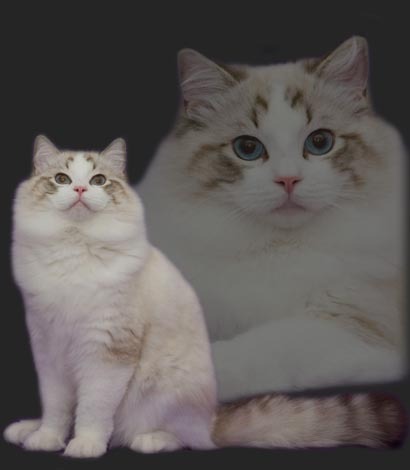 He did very good in show when he was a kitten. It takes longer time for him to develop as it is the speciality of Adam's bloodline. We hope to show him again when he is fully mature and in wonderful condition. Walberto is an unexpected gift from God! We only aware his sire, Robert, did an amazing job as a stud after he was neutered at 4.5 years old. Haha! Yes, that was Robert's first and last litter. 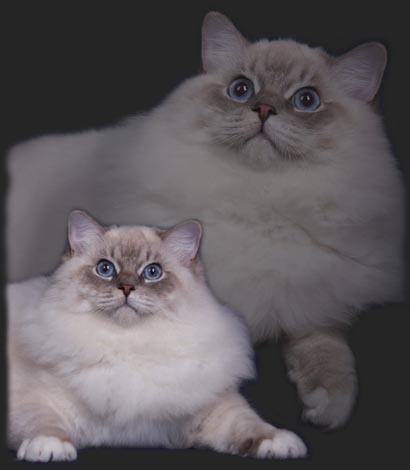 We're so proud that Walberto did wonderfully in shows as it's not easy for a mitted, expecially a blue lynx mitted. He was ONE-SHOW-GRAND at only 8 months old in his first Championship show. Thank you Jesus for such wonderful boy! "What a beautiful seal lynx bicolor boy!" just one month old. Moses has sired many gorgeous kittens. Thank you, Kim, for this handsome boy! Innsbruck has impressively soft silky coat like his mom, Choccy. But I think what he visually impressed people the most is his beautiful blaze like an exclamation mark. You might thought Innsbruck was pretty serious but actually he's very sweet like his mom as well. He will start he breeding career in 2018. We're looking for gorgeous babies from him. Flame is our super sweet King, Isaac's, son from his last litter with Tiffany! Flame just join our breeding program. Hope to see his first litter of kitten very soon!